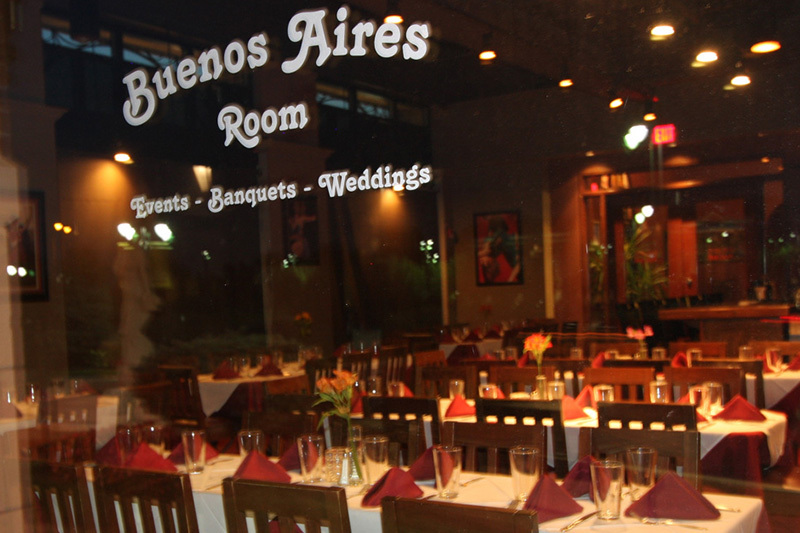 Piropos in Briarcliff Village offers a unique combination of elegance and location that make it the perfect place for your wedding, rehearsal dinner or special event. Strongly European in background and culturally Argentina, is known for fine food served in a warm, relaxed atmosphere. That’s the environment recreated at Piropos which is perched in the rolling hills overlooking downtown Kansas City. 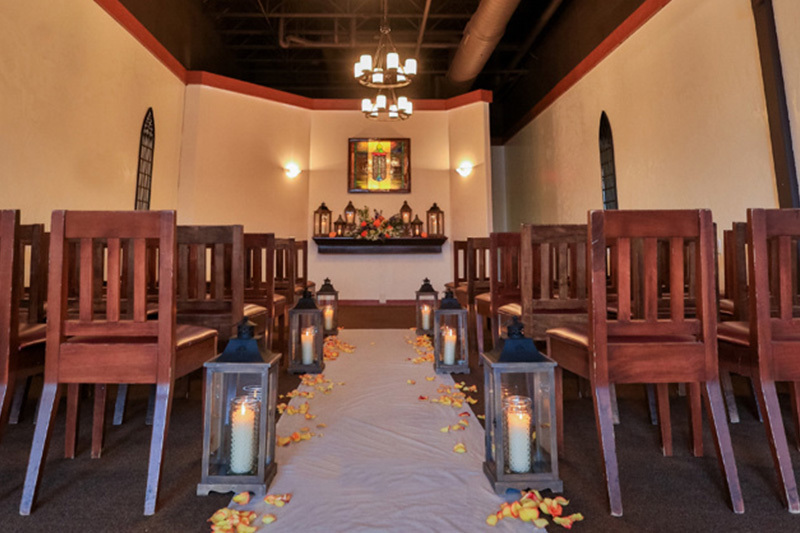 The ground floor of the Piropos building now offers a wedding chapel that adjoins our downstairs banquet facility and music area. The chapel seats up to 120 guests who can then join the reception simply by opening the doors into our Buenos Aires Room. There’s a dance floor with food and beverage service from the kitchens of Piropos. Having your wedding and reception in one location saves time and money. 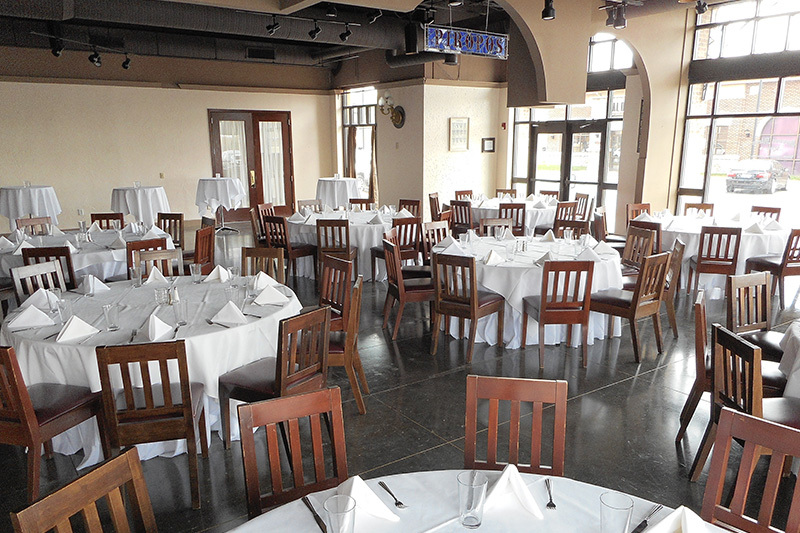 Piropos also offers an excellent location for your rehearsal dinner in our upstairs private banquet room with separate deck overlooking the KC skyline. Attractive pricing is available and because we are a full service restaurant you have a wide choice in excellent menu selections that are generally not available in other locations. Highlights of Piropos menu are empanadas, grilled meats, seafood, fresh salads and vegetables with a touch of Spanish, Italian, French, and other ethnic foods reflecting the cosmopolitan nature of Argentinean dining. The food is simple, not particularly spicy. Piropos receives outstanding reviews by all of the local media and has been awarded the Best View, Best Food and Service in several publications. Piropos menu items are prepared fresh and offered with outstanding service. An additional advantage to Piropos location is the availability of hotels in the area and that it is easy to reach from about anywhere in the KC metropolitan area. Located only 3 miles North of downtown and fifteen minutes South of the Kansas City International Airport your guests will enjoy the convenience of this “all in one place” location.